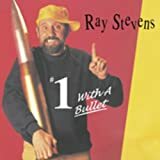 These are lyrics by Ray Stevens that we think are kind of funny. What do you think you're doin'? You get your clothes on. This man is oblivious to his surroundings until he sees his wife streakin', hence the title, in the street.